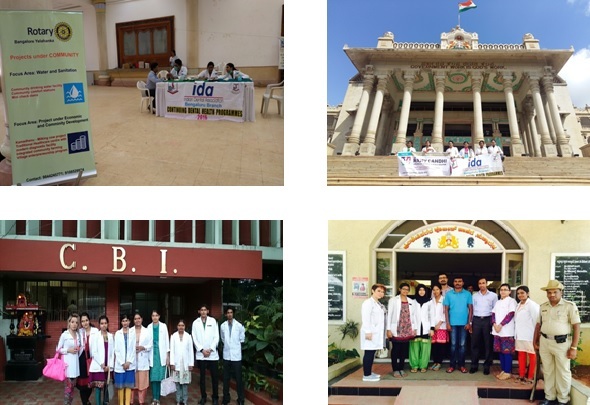 The Hospital is conducting free checkup and treatment periodically in different parts of the city and rural area with the team of highly experienced doctors and para- medical staff. Referral cases from the camps are given concessional rate for the treatment at the hospital. 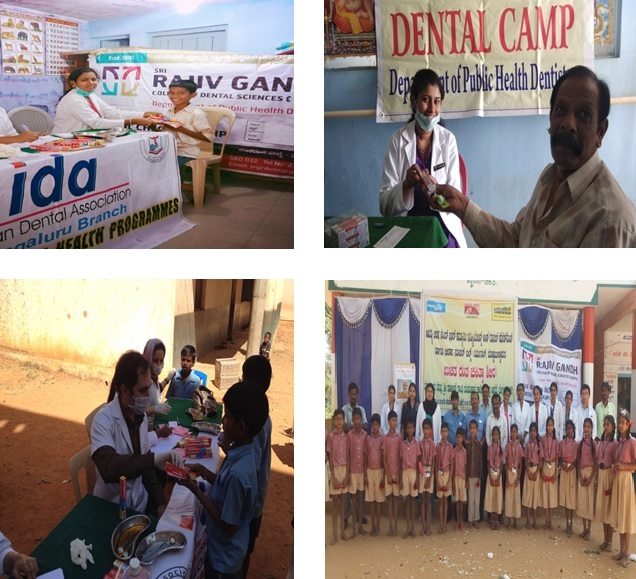 Dental camps are conducted by the Department of Public Health Dentistry in various places which includes general public, school children, old age homes, orphanages, slums, colleges,companies,factories, BSF Institute of Technology, Dairy Science College, R.T.Nagar Post Office, BMTC BUS DEPOT-Kalyan nagar, Hennur, Shivaji nagar,CBI,Vidhana Soudha,Chikballapur district prison,Central Jail,Frazer Town Police Station,All India Radio,Mother Dairy, Karnataka Telecom Department, Central Reserve Police Force, Parachute Regiment, NGO’s, workplaces and underprivileged population etc in which dental check-up, basic treatment in our well-equipped mobile dental van and oral health education was rendered. Patients were referred for complex treatment to our dental college with referral cards.